These trips are born from the desire of travelers to plan a trip into the wild with 4×4 vehicles and professional guides. The organization and support of Africa Wild Truck are the guarantee of a trip carefully studied. If you communicate your desires on time, we will be your guides and companions in this adventure. Whether you want to organize a customized tailor made safari for your family, whether you are a small group of friends, whether you want to organize your honeymoon or a private photography workshop, a 4×4 trip is an ideal solution for small groups. The 4×4 Toyota Land Cruiser or Land Rover allow to cover tough roads that you need to face safely. Our 4×4 vehicles are linked to the characteristics of the trip and to the needs of the traveler and allow you to discover the hidden corners otherwise unattainable without sacrificing comfort. Travelling with us means first of all have the possibility to enjoy the best of the trip without having to worry about how to drive with the understanding that the unexpected can be easily solved. Driving on african roads can be often very challenging. It also means to have maximum freedom of movement and choice of paths, diving into the culture of the country to learn the best beauties of nature, so as to feel more part of this wonderful world. 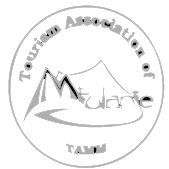 It means recognizing a profession and contribute to the development in a positive way by the exchange that tourism can bring. Sustainability of travel and social commitment provide the traveler the most profound experiences that generate benefits to local communities. We organize these itineraries all year long, but there is a best season for each tour. Write us to ask for more infos!